I am Laimonas Staniulionis, a drummer and percussionist from Lithuania. I studied drums in Vilnius J. Tallat-Kelpsa Conservatorry and in Guildhall School of Music&Drama in UK and have performed with numerous Lithuanian bands for over 20 years. Since 2001 I\'ve been a drummer, percussionist, and producer of a well-known Lithuanian band “4FUN”. I have a passion for various kinds of percussion, so I play cajon, djembe, asalato and more exotic percussion instruments. 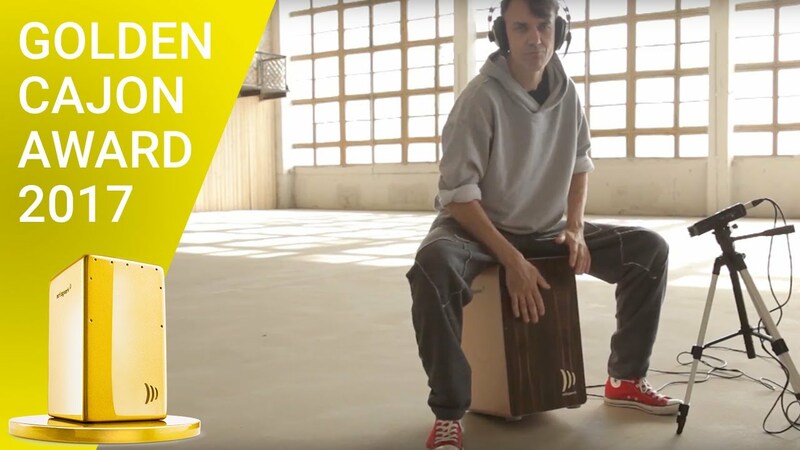 I love a creative approach and apply percussion to different music styles in unusual ways, proving that cajon is a perfect instrument for playing country, pop rock or even disco. For this contest I have chosen a traditional blues song \"Black Betty\", arranging it in vocal and percussion style. The vocal is performed by the lead singer of \"4FUN\" Julija Ritčik. I have done all percussion parts. By voting for this video, you automatically take part in the prize draw. Please provide your email address below. You will receive an email from us with which you can confirm your vote. Pleas also check your spam folder. Only after confirmation will your vote really count.